Video library of courses and tutorials on software, technology, creative and business skills designed and taught by recognised industry experts. 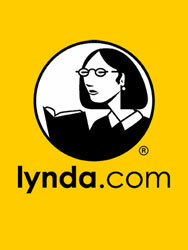 Lynda.com provides its users with over 6,300 courses and 267,000 tutorials. New courses are added each month in recognition of the speed of technical change in the current environment. Users of any skill level can take on bite-size tutorials for immediate problem solving or comprehensive courses on hundreds of topics. Earn certificates of completion for each course viewed. Use with your library card and password / PIN. Lynda.com was founded in 1995 as online support for the books and classes of Lynda Weinman, a special effects animator and multimedia professor who founded a digital arts school. Since then it has spread World Wide and gained widespread recognition for top quality videos and expert teachers. All courses are shot at Lynda.com’s own production facility to ensure content is regularly updated to reflect any changes that may occur in a timely fashion that print cannot compete with. Please Note: Lynda.com works best with up-to-date browsers, some functionality maybe lost if using an older version of a browser. Wide-ranging agricultural information, from practical aspects to scientific research. Use Agriculture Collection now Find out about Agriculture Collection.